Home Page > Accuquilt GO! > Dies > Go! Block on Board (BOB) > GO! Drunkard's Path 7"
With its fun, off-kilter shapes and happy look, the Drunkard's Path has been a favorite of quilters for generations. Use the GO! Drunkard's Path - 7" Finished die with your GO! 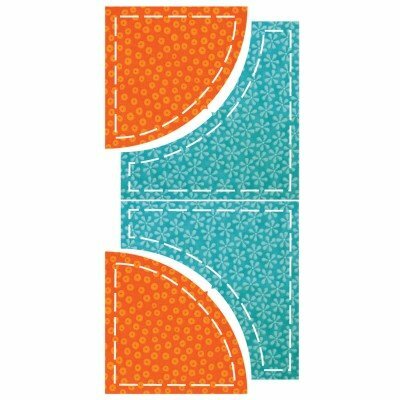 Fabric Cutter and cut perfect multiples of this classic pattern in a flash.